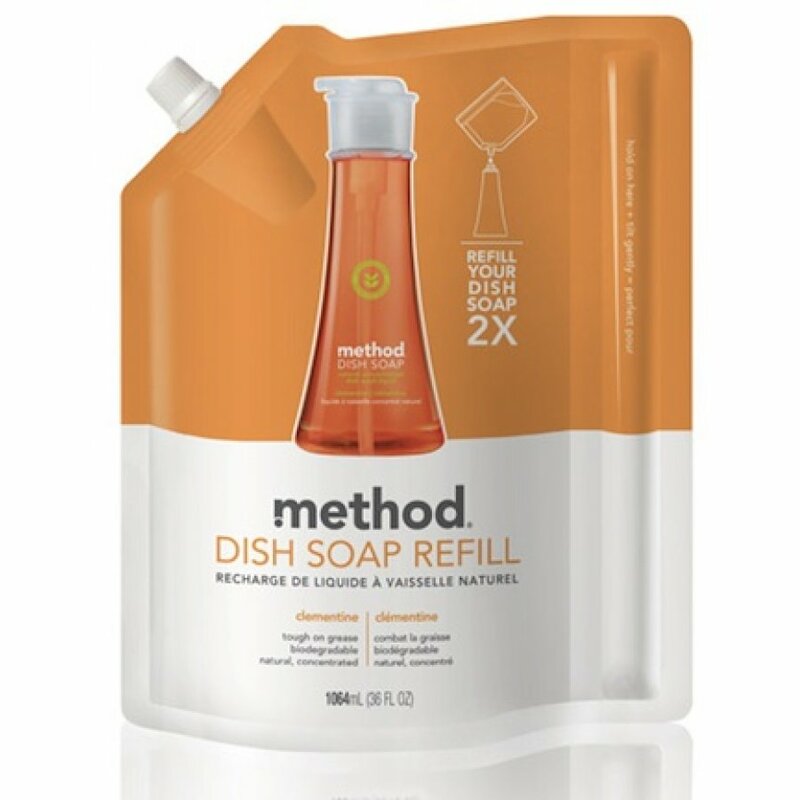 Keep an ample reserve of washing up liquid with this handy refill enough to replenish your bottle twice. High-powered naturally derived cleaner. Save on plastic bottles and choose this refill sachet. Great fragrances and lots of bubbles that wonâ€™t hurt the fishes. Coconut oil derived biodegradable cleaners aloe vera gel and vitamin e combine for high-powered cleaning that keeps hands soft and guilt free. 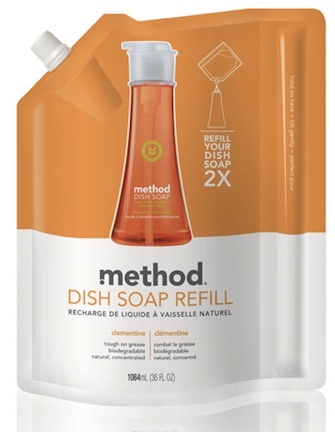 There are currently no questions to display about Method Washing Up Refill - Clementine.